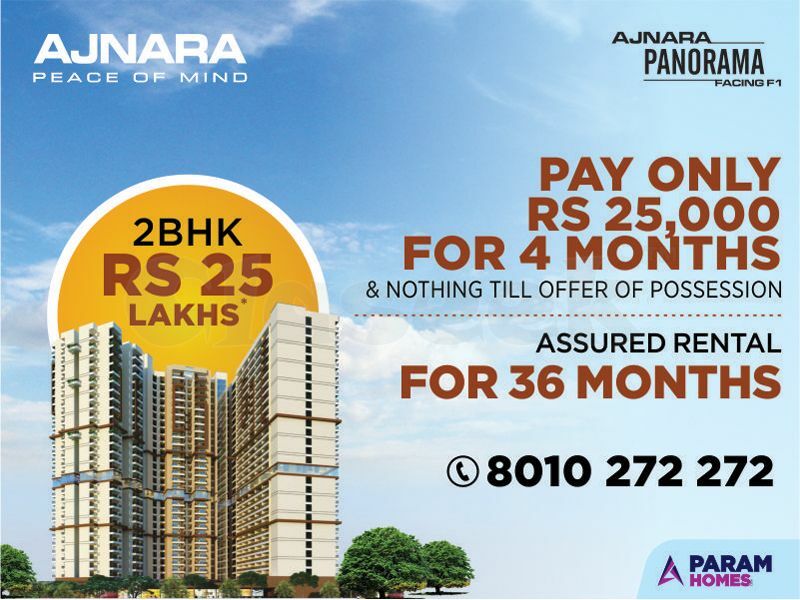 1/2/3 bhk flats and villas in Yamuna expressway ,Ajnara has launched Ajnara Panorama. 1/2/3 bhk residential apartments in greater noida Ajnara Panorama, is equipped with all modern amenities, state of the art infrastructure and everything that you need for a comfortable living. It is near to Upcoming International Jewar Airport, 30 minutes drive from City Centre, 20 minutes drive from Pari Chowk. Its size between : 515 to 1295 sq ft, Starting Price is Rs. 25 Lacs*.